The LogiSon® Sound Masking System Difference. A sound masking system’s performance – and the acoustic comfort of those who rely on it – is dependent on robust adjustment capabilities, flexible zoning, a well-implemented control method, and the ease of making future changes. The award-winning LogiSon® Sound Masking System performs to the highest standard of sound masking and noise control in each of these areas and more. Small zone sizes (1 to 3 speakers or 225 to 675 ft2) and precise control over an industry-leading range of settings (including 1/3-octave equalization for sound masking) allow custom design for the unique acoustic treatment required by different spaces. The output of individual or groups of speakers can be conveniently managed from a control panel, PC or handheld computer. A handheld computer equipped with Remote Manager™ Software lets users walk the space as they make changes to the LogiSon® Sound Masking System’s settings. Programmable keypads provide on-demand acoustic control of the sound masking and paging settings, ideal for private offices and meeting rooms. Sound masking can be used to protect against eavesdropping and electronic espionage. Sound masking components are tested according to UL, FCC and CE standards and approved for use in plenum spaces. 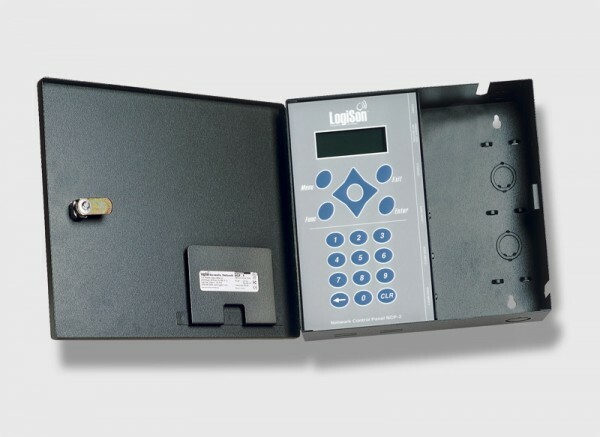 Sound masking, paging/music, timer and keypad zones are software-based rather than hardwired. Adjustments can be made in minutes, without accessing the ceiling or altering cabling, helping to maintain acoustic control as organizational or structural requirements change. Page Director™ Software lets users create, use or modify an unlimited number of custom paging zones as required. Paging and music can be distributed through the same set of loudspeakers. The sound masking generation, amplification and equalization technology is integrated into the Primary Hubs, reducing the need for third-party equipment. Security measures include password protection, encrypted communication, 24-hour monitoring, alarms and diagnostics. A 13,500 ft2 installation uses the same energy as a light bulb. Streamlined components ensure the look is high-tech, complementing your facility’s professional appearance. For more information email a Sound-Rite rep , visit www.logison.com or download the brochure in PDF format. © 2013 K.R. Moeller Associates Ltd.